5. It adopts temperature controller, which is able to effectively prevent phenomenon of dew coagulation inside the door. The cost will be provided you after you tell us the consignee address and the transportation model you would like to choose. 1. Can you customize the product9 Yes, we can customize products according to your requirements. CE certificate Water-jacket Electronic Thermostat For Incubator Performance feature: 1.Adopts originated domestic streamline arc design, the outer is made of cold rolled steel plate, the chamber is made of SUS304 stainless steel, the surface is static lacquered; 2.Temperature control system adopts microcomputer single chip technology, with the functions of temperature control, timing and over-temperature alarm; 3.Adopts imported machine and fan blade that make the temperature in chamber symmetrical with rational air duct and circulatory system; 4.Adopts intelligent temperature controller with the function of timing and time; 5.The interior chamber is made of stainless steel material, the design of corners semicircular is easy to clean; 6.User can decide the number of shelves and the height of shelves can be changed optionally; 7.Wide angle of view observation glass window. 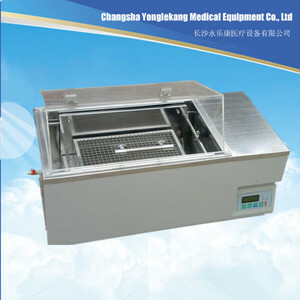 Application: Water-jacket incubator is a high-precision temperature devices can be used for the germination of plants, organize, train nursery, cultivation of microorganisms, insects, small animals, feeding, water quality testing in the BOD measurement, and other uses of the constant temperature tests. Is genetic engineering, medicine, agriculture, forestry, environmental science, animal husbandry and aquatic production, research and education sector is the ideal equipment. 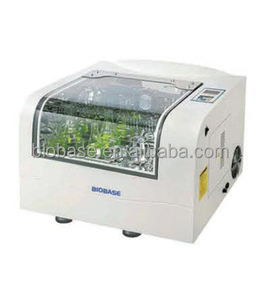 When glass door opens, light air circulation and heating stop, without affecting the temperature inside incubator. It adopts germproof stainless steel water-lined sleeve structure and waterproof heating mode to ensure even temperature. 5.Compatible with printer or RS-485 interface, it can be connected to printer and computer to record how temperature parameters change. 50L china biochemical lab Water-jacket Constant-Temperature Incubator Microcompute r intelligent temperature control system has eyes control temperature protection, accurate, and reliable. 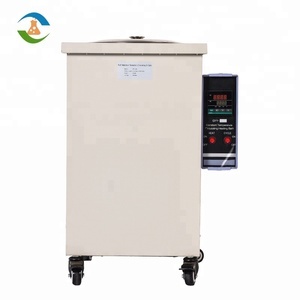 Working temperature can adjust and has the deviation alarm function, mirror stainless steel container, outside the door with a layer of door, observe the situation does not affect the temperature in the cabinet. 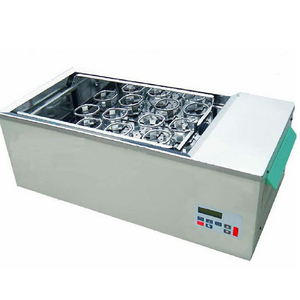 DNP series constant temperature incubator heating mode, with temperature uniformity and power can still be constant for a long time. - Various types of optional blocks are available. 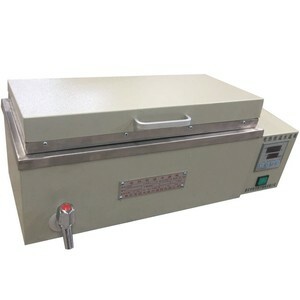 - Lid for protection and heat preservation. If broken, we will send you a new free part if in the warranty period. Standard package: Reinforced honeycomb carton with wooden pallet at the bottom and plastic corner protectors is wrapped with PE film before PET packing strip is used. Each unit is pack in a reinforced carton filled with foam between the package and the product to protect the goods from external impact force during shipment. 1. Are you a factory or trading company 9 A : We are a factory with an international sales company specialized in support for global distributors. Electropolished stainless steel in selected models improves the finish to optimize cleaning. 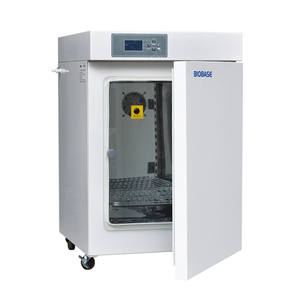 Direct heat incubators provide easy cleaning with high temperature sterilization cycles. Electropolished stainless steel in selected models improves the finish to optimize cleaning. 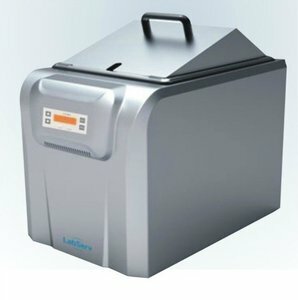 l Microorganism filter at inlet provides 99% filtration of bacteria and dust(&Phi; &lt;0.3um) and supplies pure Co2 into the incubator. Growing from Strength to strength to become the leader manufacturer and distributor with best discount and fast pre -sale and after sales service . 3. The other contacts information like email/skype wechat will be supplied as below Which can help you to contact with me directly. 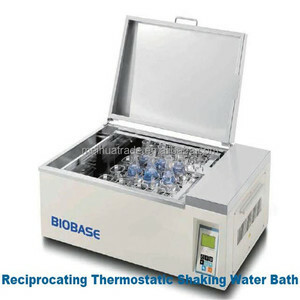 Alibaba.com offers 1,044 water incubator thermostat products. About 4% of these are temperature instruments, 3% are egg incubators, and 1% are other home appliance parts. A wide variety of water incubator thermostat options are available to you, such as temperature controller, temperature sensor, and bimetal thermometer. You can also choose from household, industrial, and outdoor. As well as from free samples, paid samples. 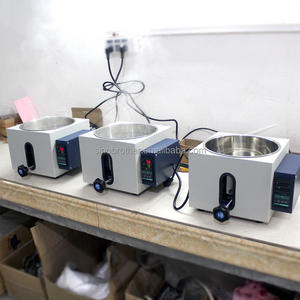 There are 966 water incubator thermostat suppliers, mainly located in Asia. The top supplying countries are China (Mainland), Taiwan, and India, which supply 98%, 1%, and 1% of water incubator thermostat respectively. Water incubator thermostat products are most popular in South America, North America, and Africa. You can ensure product safety by selecting from certified suppliers, including 469 with ISO9001, 370 with ISO13485, and 326 with Other certification.